Terry K. Peterson, PhD, is a seasoned educator, internationally known speaker, published scholar, community organizer and a parent. His research focuses on education reform, mainly how extracurricular and afterschool opportunities have a positive impact on student and community engagement, and has published numerous studies, reports and articles in this field. In 2014, he was named one of the 25 most influential Americans in the after school field by the National Afterschool Association. After working as a science teacher both nationally and internationally, he moved to senior leadership and advisory roles in order to build exchange initiatives and implement important national education reforms. In this role, he served as the Chief Education Advisor to the Governor of South Carolina as well as Chief Counselor to the United States Secretary of Education – both for eight years. He is the executive editor of Expanding Minds and Opportunities: Leveraging the Power of Afterschool and Summer Learning for Student Success, a comprehensive compendium of studies, reports and commentaries by more than 100 thought leaders. He is a Senior Fellow at the College of Charleston and the Riley Institute at Furman University, and is currently the Chairman of the National Board ofDirectors of the Afterschool Alliance. 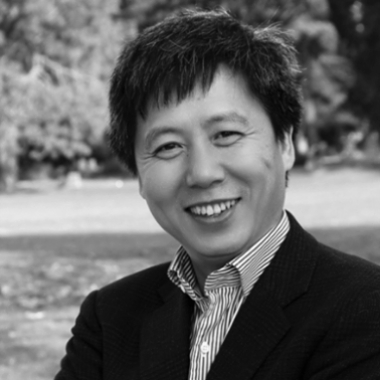 Dr. Yong Zhao is an internationally respected scholar, author, and speaker. His works focus on the implications of globalization and technology on education. He has designed schools that cultivate global competence, developed computer games for language learning, and founded research and development institutions to explore innovative education models. He has published over 100 articles and 20 books, including World Class Learners: Educating Creative and Entrepreneurial Students. He is an elected fellow of the International Academy for Education and was named one of the 10 most influential people in educational technology by the Tech & Learn Magazine in 2012. He currently serves as the Presidential Chair and Director of the Institute for Global and Online Education in the College of Education, University of Oregon, where he is also a Professor in the Department of Educational Measurement, Policy, and Leadership. Until December, 2010, he was University Distinguished Professor at the College of Education, Michigan State University, where he also served as the founding director of the Center for Teaching and Technology, executive director of the Confucius Institute, as well as the US-China Center for Research on Educational Excellence. Jeff leads a team at the Asia Society that fosters collaboration between young people in the US and China. This includes: over 100 pairs of sister-schools, frequent publications on youth partnership, and the design and implementation of the annual official US-China State and Province Chief Education Officers Dialogue—a component of the US-China High Level Consultation on People-to-People Exchange initiated by Secretary Hilary Clinton in 2010. Jeff has organized the annual US National Chinese Language Conference since its inception in 2008. He advises organizations and leaders in both countries on building innovative, substantive and mutually-beneficial partnerships. He designs study missions and learning programs which enable thought leaders and practitioners to understand one another’s society better. Before joining Asia Society in 2007, Jeff worked at the Connecticut Department of Higher Education and Department of Education, on the State’s academic exchange initiatives with Baden-Württemberg, Germany and Shandong, China.